If there's anything that screams EAT ME it is a plate of crispy fried chicken. This is exactly what happened to me when I re-posted my Fried Chicken A la Jollibee on my Facebook page. The image of this all-time favorite Filipino-style chicken dish got stuck in my head. And no matter how much I tell myself not to give in (as I am trying to clean up our diet) I crave for it... and continue to crave... and yes I still am CRAVING FOR IT ! "I guess fried chicken is what's for dinner tonight", my husband cajoled me when I told him about my craving. "But I have one request... can you make it spicy?" he queried. His suggestion made me want IT even more! Oh yes baby, spicy, crispy fried chicken is in the works. 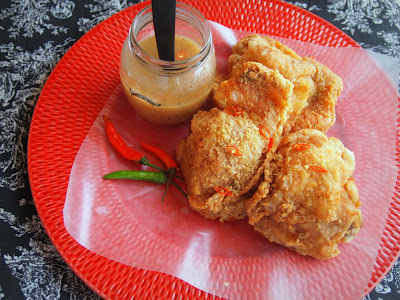 I tweaked my recipe for Fried Chicken Ala Jollibee. I ditched the five spice altogether and replaced it with Italian seasoning... and spiked it with layers of chili-goodness. Marinate chicken with lemon and salt and pepper overnight or at least 30 minutes. Drizzle chili sauce before frying. Fill a large skillet (cast iron is best) about half full with vegetable oil. 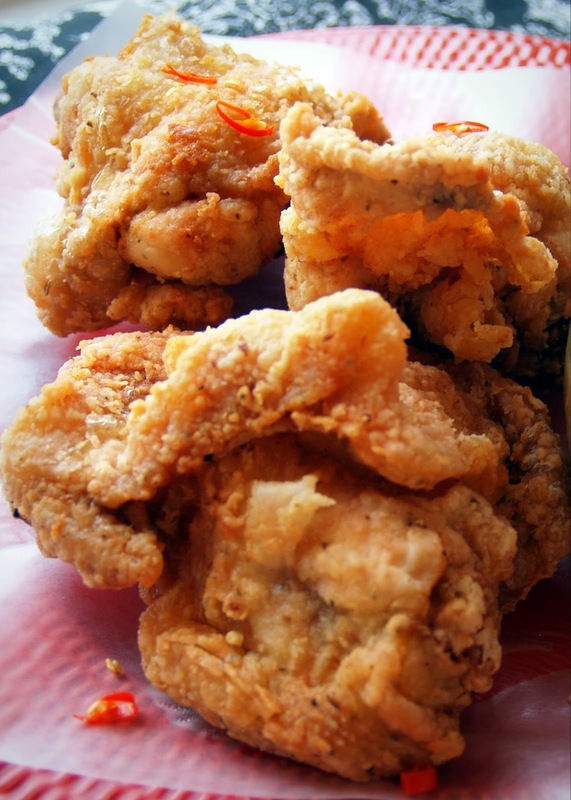 Heat until VERY hot... or better yet use a deep fry thermometer and fry chicken at 360 to 375 degrees Fahrenheit. Meanwhile, roll the chicken pieces on to the breading. Drop 5-6 pieces into the hot oil. Make sure there's enough space to stir the chicken. Here's my simple recipe for the gravy. You could adjust the consistency according to your own preference... but here's the basic recipe: toast 2 tbsp of the breading mix... when it's slightly brown, add 2 tbsp butter and stir... cook for 3-5 minutes. Pour a cup of soup stock. Stir continuously to avoid lumps. The gravy should start to thicken. Season with salt and pepper... and a dash of chili sauce. You could even season with light soy if you want. Good luck. Ooh la la! My son would love this! Hope to see you Mother's Day! thanks Vel... and yeah will definitely see each other on Sunday! Im excited! I want some!!! And Ading ko, what is that sauce, please? Now, pass the rice, I mean the whole shebang! Ok will edit and include the auce. Thanks for reminding me. Oh my! That looks delicious! Now I'm craving some. Oh no, you have to give in too haha. Go ahead make some for yourself... you will love it! Sounds like an excellent fried chicken :) I'm also craving for some now as well. Hi Jerry, Thank you for dropping by. Yes make some for yourself too. You gotta fix that craving haha. I just love that it's spicy and crispy! You can't go wrong with chicken, and spicy chicken is the best! Really good stuff - thanks so much. 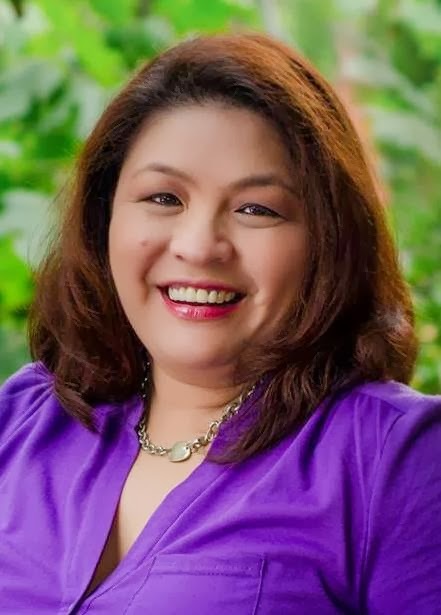 hi malou where can i buy here in the philippines Italian Seasoning and cayenne pepper? is there other subtitute? Hi Yvann, Italian Seasoning and Cayenne pepper are readily available in supermarkets. McCormick is a universal brand and they carry both spices. Thank you! I did it and its really yummylicious fried chicken. My indian husband love it.. may isa lang ako naging problem maybe u can share me a technique..anu ba dapat kong gawin para maluto un loob ng chicken? Medjo kinailangan ko kasi sunugin ng unti at mdjo nagblack na unti un chicken para maluto un loob..actually kahit mdjo itim na nga di prin sya luto.i had to refry them tuloy.